World War II. 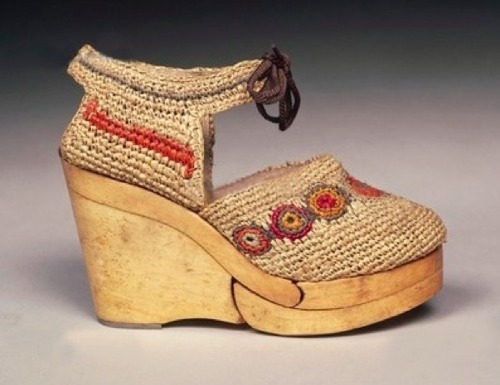 Bonded fibre shoes with wooden soles. 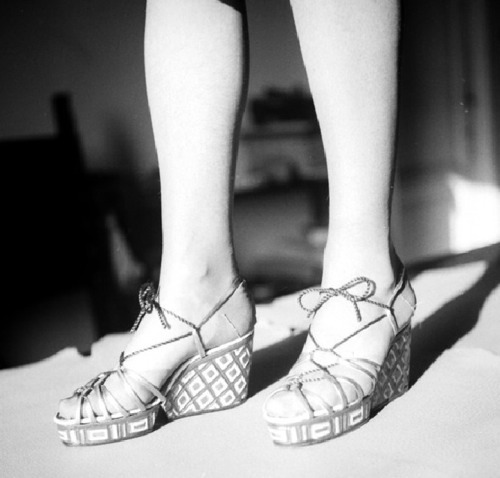 Photograph by André Zucca (1897-1973). Bibliothèque historique de la Ville de Paris. 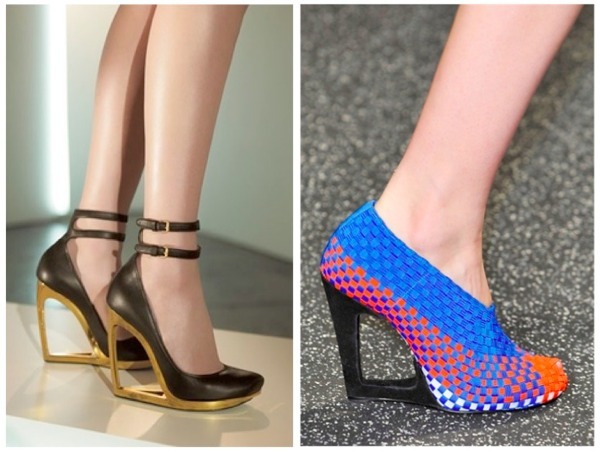 A very interesting shoe: arch & heel assembly (predating Davin Levin by two years) mixed with the concept of the articulated sole, in short split platform. The manufacturer remains unknown but at lest the Parisian designer deserves some credit: enter Léandre Grégoire Renaldo about which nothing is known but being the creator of more than one outstanding design. Here Renaldo shares the credit with one Joseph Sciroppo. 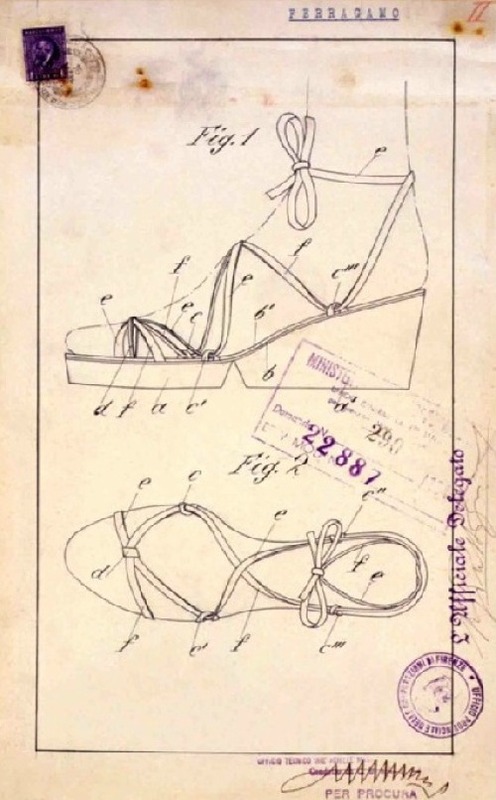 The split platform concept was also patented five years later by Salvatore Ferragamo, but it is fair to say that Ferragamo introduced his split platform back in 1938 a few months before Leandre G. Renaldo, although the patent is nowhere to be found (for now) . Fashion, 20th century. 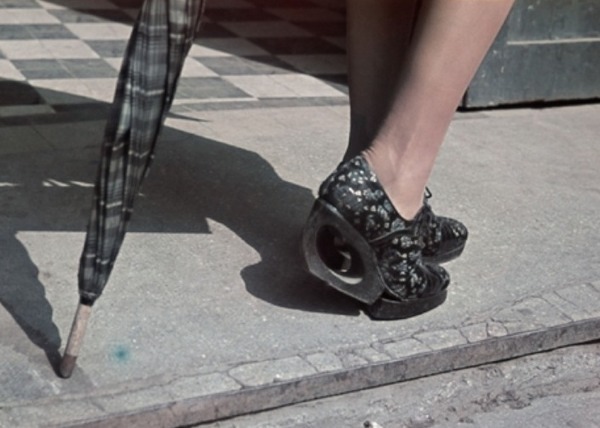 Shoe with cork sole in use in the 1940s. DeA Picture Library, licensed by Alinari. which mistook cork for wood and completely missed the point about the split platform. 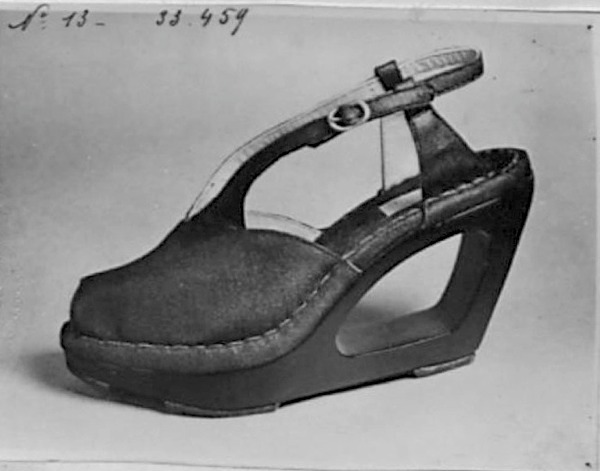 They also forgot to mention that the sandal belongs to the International Footwear Museum of Vigevano's collection. Another victim of the cruel analog-to-digital conversion. 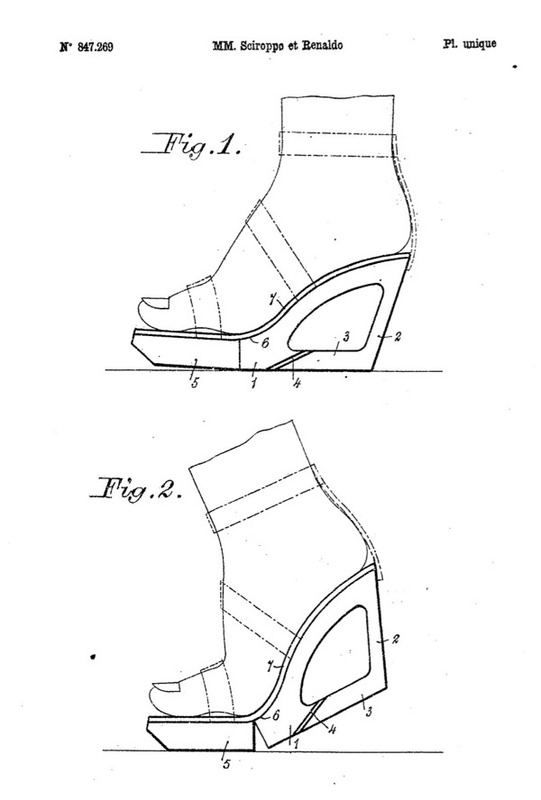 Three years later Renaldo (without mr. Sciroppo) patented a simplified version and apparently it got noticed a few years later.